"Since 1968, KidKraft has been a leader in the children's industry crafting durable toys and furniture that inspire creativity and exploration. The beloved brand was founded by a group of engineers, and that keen attention to detail is evident in every piece in this collection from the darling Espresso Kitchen to the sweet Amelia Dollhouse. Whether your little one loves trains or art, they are certain to enjoy these smart sets for many years to come." -I have developed a system for couponing that will not only save you thousands of dollars but, requires little time to do so. I know, that if you implement the techniques and strategies outlined in my ebook, “Coupon Clipping Revealed”, that you can too! I have friends, family and co-workers that are all benefiting from the secrets that I have discovered and seeing how much money and time everyone is saving, I decided to try and help others that want to save a tremendous amount on something they’re already paying for, and save a ton of time while doing it. In fact, I’m so sure of it, that I’m willing to put my money where my mouth is. I’m so confident that you’ll save AT LEAST 2-3 times the amount you invest in this information that if you don’t save AT LEAST 3-4 times the investment of this Valuable Time and Money Saving Information within your first 30 days of implementing my system, I will refund you 100% of your money. 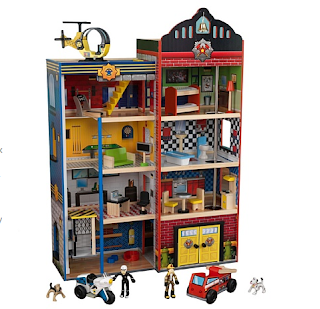 I'm trying to locate the kidkraft hometown heroes playset on myhabit. The link is taking me to the site but I can't find it anywhere. Is it for sale on myhabit?